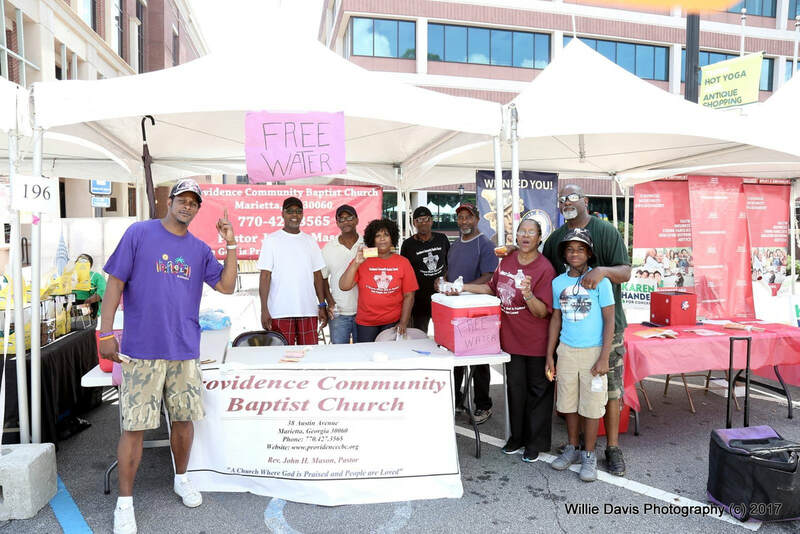 Providence Community Baptist Church believes in reaching out to our community and sharing God's love with those around us. We continually strive to meet the benevolent needs of the community while identifying and caring for the needs of those in our church family. Pruit Healthcare Nursing Home - minister the first Sunday of each month with the residents with songs, prayer, and encouragement. Daily Bread Ministry - provide food, clothing, prayer, spiritual guidance, and continued support to members of our community and church family every third Sunday of the month at 11 a.m.
Park Street Elementary School - our adopted school where we donate school supples and gift cards for the students, as well as minister to the teachers and staff. Annual Mission Trips - sponsored by Sisters On Mission, we have ministered in New Orleans, LA; Gulfport, MS; Mobile, AL; Batimore, MD; Macon, GA; Norcross, GA; Clarkston, GA, Philadelphia, PA, Camden & Vredenburgh, AL, Princeton, KY, Stone Mountain, GA, and Red Springs, NC. Noonday Baptist Association - is a diverse group of 91 churches, 27 church starts and new work ministries and 7 multi-site campuses meeting mainly in Cobb County, Georgia. Among our members are African American, Brazilian, Chinese, Filipino, Vietnamese, Hispanic, Asian Indian, Haitian, Korean, and Cambodian congregations. Noonday exists to encourage and assist church staff and lay leaders in being skilled, dynamic leaders focused on equipping and empowering members to be engaged in accomplishing God's mission locally, nationally, and internationally. Sisters On Mission - saw the need for a woman's mission organization which would utilize the gifts and strengths of the African American church with the goal of involving more individuals and churches in local, national, and international missions. Its mission is to educate, train, provide resources and mobilize believers to increase their involvement in reaching our world for Christ. SOM sponsors an annual Summit/Leadership Roundtable and Mission Trip.​ If you are interested in serving with this year's mission trip, click the button below.